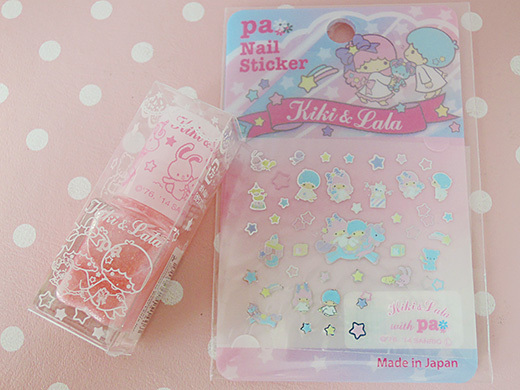 I got cutest Kiki & Lala nail polish and sticker sheet. 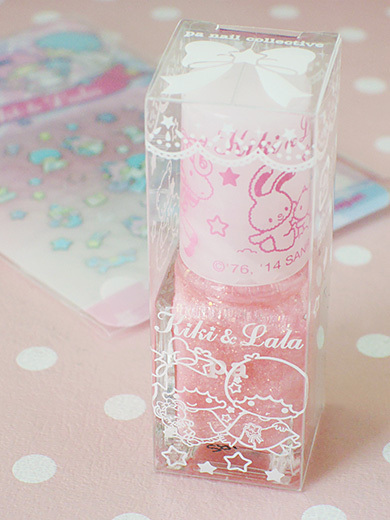 The nail polish is a quick-drying and when it dries, the surface turn into frosty like as sugar-coated. Stickers are so small and high definition. 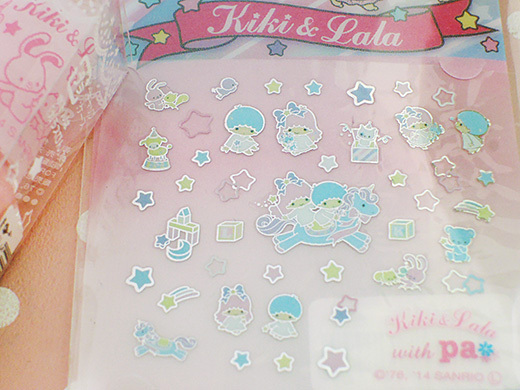 I’d enjoy going out with tiny Kiki & Lala.